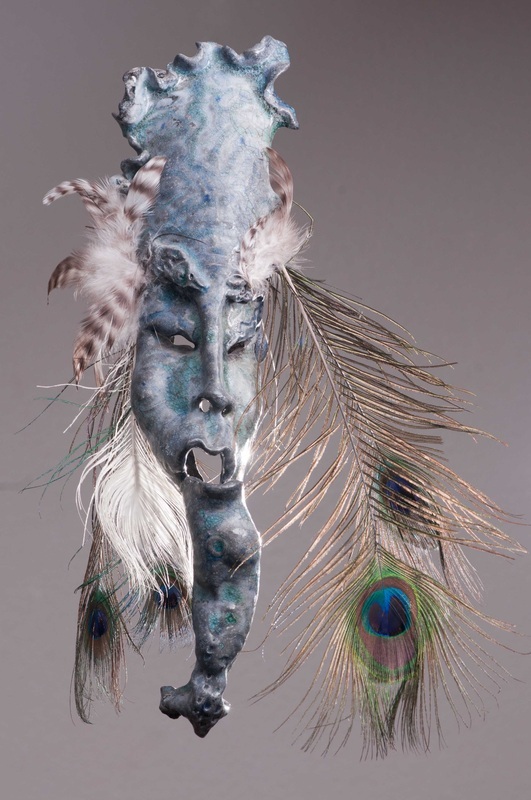 Masks - RAGING CLAY: Rhonda Anne Davis, Ceramic Artist of 40 years. Works in Flagstaff, AZ. Creates vases, pottery, masks, and sculptures. I create Crystalline glazes and Raku fired ware. Buy one of a kind gifts, and collectables. I make work on commission..
" Dream of The Planet" miniature. 34"x 11". $ 200.00.
" Dream of The Planet" miniatures 17 small hand sculpted masks adhered to a painted board with a hanger. great for over a mantle of couch. $ 200.00.